When I was in my 20s, which was, OK, a while ago, I was diagnosed with inattentive-type attention deficit disorder. Inattentive-type ADD differs from ADHD (attention- deficit hyperactivity disorder) in that there is no impulsive, disruptive component. Instead, people have problems concentrating, are forgetful and distractible, and have difficulty listening, processing information, and following instructions. So inattentive ADD, at least in my particular case, looked a lot like good old Hashimoto’s brain fog. 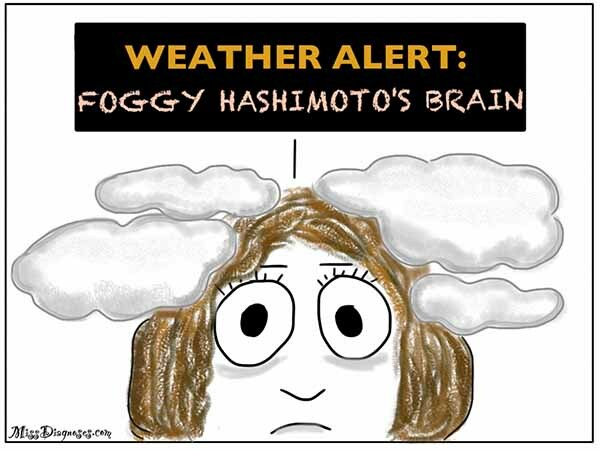 I already had Hashimoto’s when I got my ADD diagnosis, but I didn’t know about brain fog yet. Do you have problems focusing? Check. Do you sometimes struggle to process information you have heard? Check. Do you lose your keys often? Keys? I’m pretty sure I had them when I left the house. Maybe they’re in the other pocket? Oh wait, they fell into the lining of my jacket. I keep meaning to have that repaired. 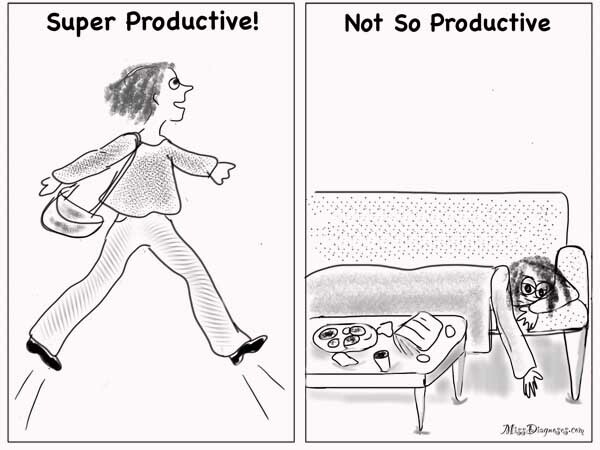 Did Adderall improve my productivity? Of course it did. It’s basically prescription amphetamines. It also reduced my appetite and made me lose weight, and what hypothyroid woman doesn’t want that? Unfortunately, it made me jittery, kept me up until 5 a.m., and after my periods of productivity I would crash and burn. 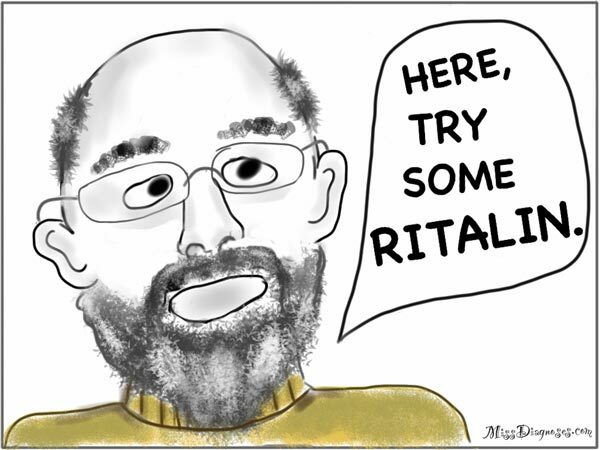 Now, the psychiatrist knew I had hypothyroidism, because when he asked me what other medicines I took I mentioned Synthroid, which is what I took then. But despite his medical pedigree, he never considered my thyroid. It might not have made much difference if he had. At that time, my internist was treating my thyroid, and he only tested my TSH, which was always “in range,” if a bit on the high side. I eventually stopped using the Adderall, because I just couldn’t deal with the side effects. And I eventually dropped the psychiatrist. 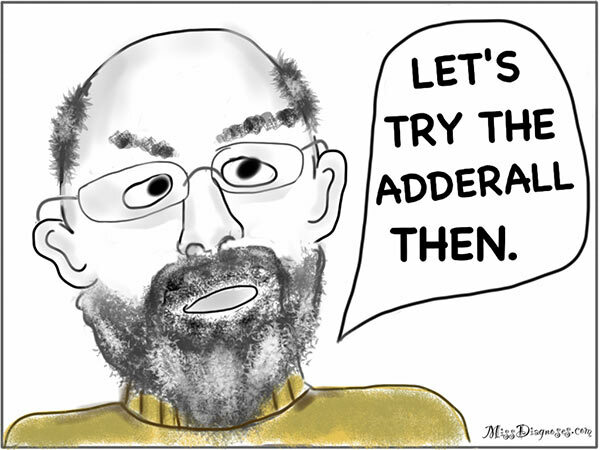 Late last year, I read Hypothyroid Mom’s article about ADD and ADHD, and I wondered whether, all those years ago, I might have skipped the Adderall episode entirely if I had had better thyroid care. Right now, my brain fog has hit a new high because I have Lyme disease. The combination of Lyme disease, Hashimoto’s, and some other issues make for a fog so dense that probably no single medication can defeat it. 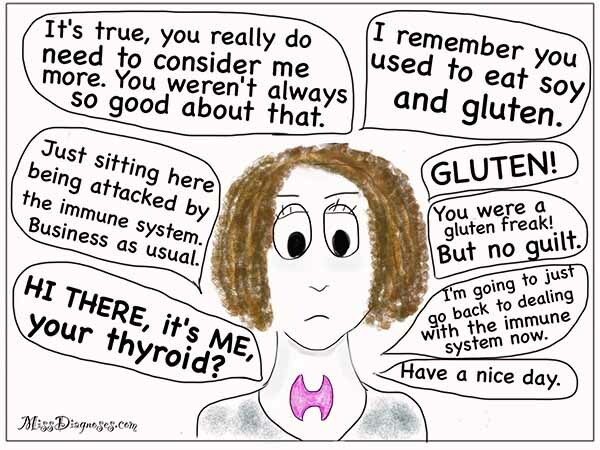 But the lesson I learned was to always consider your thyroid. Even if your doctor doesn’t. 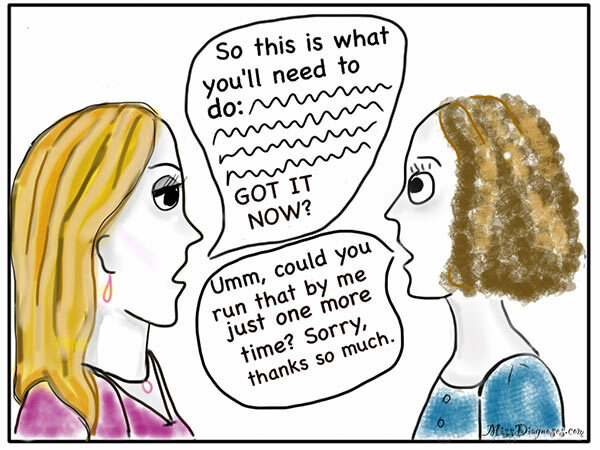 Miss Diagnoses is an endearingly (she hopes) neurotic blogger writing about life with Hashimoto’s thyroiditis, Lyme disease, skin and food allergies, endometriosis, and various other ills. She believes in patient advocacy, compulsive doodling, and the healing power of humor and sarcasm.